Sew together 4 triangles of fabric. Stuff fabric shape with fiberfill, adding a handful of dried beans to center of stuffing. Sew remaining edge closed. 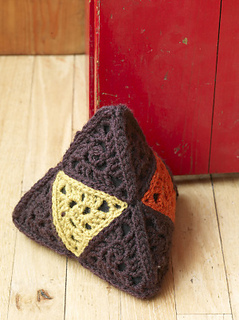 Crochet triangles together over the stuffed pyramid to finish.